Both teams are equally poised to win the match. NZ has home advantage plus they have beaten Pakistan in last 11 matches out of 12. But Pakistan's new team is no joke either as they are on a winning streak of 9 matches and have many young and match winning players. So it's 50-50......any team can win. The situation against new zealand is the same as india i.e. lately we have lost many matches but overall we have won more matches. 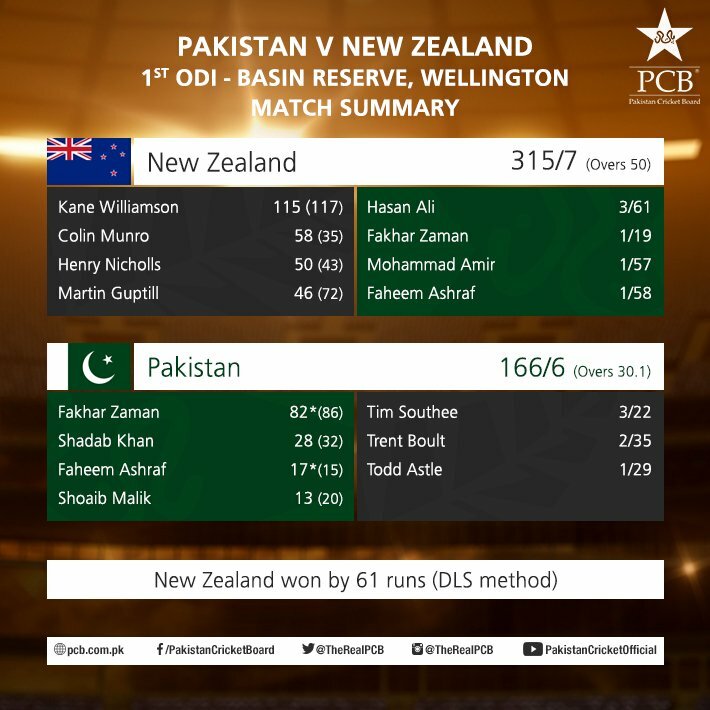 we have played 98 matches against new zealand and won 53 while lost 42. plus the recent resurgence of pakistani team gives me hope. all depends on our openers and bowlers though. If professor doesn't score then throw him out of the team because he can't bowl and then can't bat. By the way that stats about NZ beating Pakistan 11 times in 12 matches includes test and t20 and not just ODIs. Normally the pitch of Basin Reserve is seaming and bouncy but no idea about current condition because last match played was around 2 years ago and that too between NZ and Pak which NZ won. There is also rain forecast tomorrow. "Too chal main aya" has been started guys. Babar Azam gone next ball. It looked like it will go above stumps and umpire gave him lbw out but there is no review available now.